Mohamed Bouazizi, a name that made it into history on December 17th 2010. From Tunisia, a man self-immolated himself to defend his dignity, his poverty, his own values and principles. This was enough to ignite an already suppressed, angry and dignified nation. Tunisia, lead by Zine El Abidine Ben Ali, a dictator for 23 years with full support from the US, France and the so called “International Society”, has been liberated by the people on the 15th of January 2011. Days after, the light of dignity and sense of empowerment of grassroots revolution reached Egypt, Jordan, Yemen and Algeria. Egypt’s “Day of Anger”, on the 25th of January 2011, started a wave of protests and demonstrations in the various Egyptian cities asking for the dictator Husni Mubarak to step down. Until this day, the dictator didn’t leave and the protests have not stopped and are infact growing in numbers and power in spite of all the government’s cheap moves. Husni Mubarak, a dictator that asked his police and secret service to wear civilian clothes and cause chaos, made the police in most cities leave their positions and let the cities be populated with looters and chaos makers to reek havoc in the streets, houses and important historic sites. The government shut down internet and phone connections, turned its back on the jails to let the detained flee to cause more chaos in the streets in an attempt to make the righteous demands and civilized demonstrations of the Egyptians seem more like a war zone. All the attempts to make the people seem like they are thieves and killers, instead of the dignified nation they are demanding for their rights, for democracy, for a government that represents them and their thinking, a nation asking for a leader that works for them and not a corrupt dictator that is failing his country. Sooner or later, Husni Mubarak will leave, because the Arab Nation is awakening and what started in Tunisia will not end in Egypt. 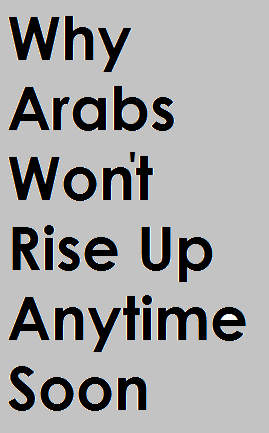 It is about time that the Arabs shed that old worn-out cloth of humiliation, division, discrimination, dictatorship and so called “leaders” who are puppets in the hands of the US, Europe and Israel. The sense of dignity, faith in values, and belief in principles will rise again. 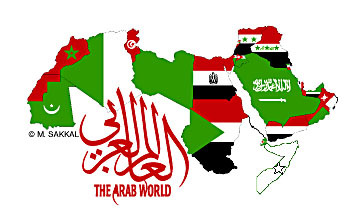 That once visible and lately invisible line that has always been connecting all Arabs wherever they are on the globe will come back strong and proud. I am not a fortune teller and definitely not a political analyst. I am a proud Arab, a thinker and an activist that has always been wondering when will this phase of shame in the Arab world depart, and now that flag of dignity, pride and magnanimity is rising… slowly but surely! May all free men, all the thinkers, all believers in democracy, all supporters of grassroots, all human rights activists stand side by side with the Arab Nations as they stand up and demand for their rights…a new sun is rising!